There's an intimidation factor to consider when you begin a new business. You've leveraged loans and started the work, but the results are obscured by multiple production streams. The product or service has to be manufactured. The finished product has to be installed and inspected and even maintained. Your patience can fray under this business-related pressure, but that's just the way things are, right? 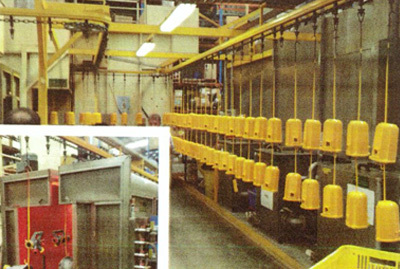 A turn-key powder coating system breaks this mold by delivering prompt results, a fast payoff that's wrapped up in the single package outline of the powder coating operational pipeline. In other words, setup the spray chamber, electrostatic system, and the spray guns, safe in the knowledge that implementation is a single step away. 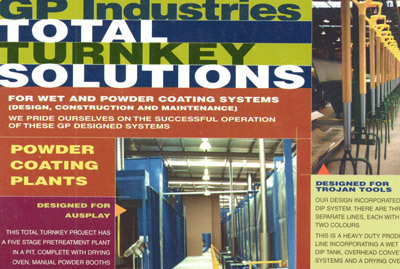 In describing a turn-key powder coating system, let's play devil's advocate by jumping over to the other side of the argument. A new rugged fencing border for a dream home, for example, could be painted with a decent high-quality product, a wet paint, but you instantly prejudice the concept by taking this approach. The fence is installed. The wet paint is coated over the metal posts. Now there's a waiting period and the possibility of an ecological hazard because the messy paint is dripping onto the grass. Pets can't even be kept outside. A true turn-key model avoids all of this mess and fuss by situating the work within your controlled spray premises and, as soon as the process is concluded, the parts are instantly ready for installation. It's worth underscoring that last sentence. Every stage of the work is done and over without a wet mess when a powder coating system is employed. There's no drying and absolutely no mess, just a robust frame that is completely weatherproof and ready to be inserted among the other fencing panels. If there was a way to calculate energy utilization in the last scenario, then even the most pessimistic study would have to place the powder coating solution way ahead of alternative finishing methods. Every resource is allocated and optioned in a timely manner under the administration of a turn-key powder coating system. The self-contained nature of the labour adheres more to a modern modular approach, a method that easily sails past multiple operational streams and time-consuming drying phases. 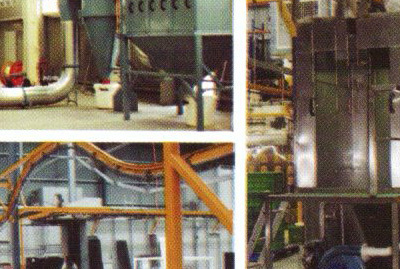 In fact, and this applies especially to those system users that favour future expansion, the powder finishing solution maximizes productivity across the board, only finding limitations when the facilities have reached capacity. Should this happen, gather your resources, your website, billing software, and your premises, and simply install an extra spray gun or electrostatic assembly, thus instantly scaling your business upward in scope.